Why You Should Get Dressed Every Day | For the Joy of Life. I'm sure you always hear new moms, or even moms that have been doing this whole mothering thing for years, talk about how they find themselves lounging in a t-shirt and leggings 6/7 days a week. Because you know... You should probably get dressed for church... right? While I'm all for avoiding jeans at all cost... I'm going to tell all of you moms out there that getting dressed for the day, and feeling good about what you're wearing, is a whole lot more important than you think it may be! Not only that.. but a whole lot more simple than you may think. I was that first time mom... The one who was still in my pajamas when my husband came home at 5 pm. I still hadn't put any makeup on, there was a spit up stain on my shoulder, and it was a rare sight if my hair wasn't in a messy bun on top of my head. I'm really not trying to make the moms who still do this feel bad, because remember, that was totally me! I felt very low most days with a newborn. I felt overwhelmed and discouraged. I felt like there was never going to be a moment of "alone time" again. I was afraid of hearing my baby cry. In my head, if she was crying, it meant she was unhappy. If she was unhappy it meant I was doing something wrong. Well, Oaklyn cried just about every single time I put her down. Unless she was in her bouncer and I was bouncing it with my feet. So I stayed in my pajamas most days and was really unhappy with my postpartum self. When I began to realize that she would eventually figure out that she didn't have to cry every single time I set her down, I started to put her down more. It was freeing to know that whining was okay and a few minutes getting ready every day would do an incredible amount of good for all of us. Once I began caring about my appearance a little again, I noticed my postpartum world actually feel a whole lot brighter. So... Here are reasons why I believe you should get dressed every day. 1) It completely brightens your mood. I promise, it really does! When I look good, I feel good. That goes for being healthy too. I feel a whole lot better when I choose a smoothie over a doughnut in the morning and I feel way better when I choose a blouse over a t-shirt. If I feel good in what I'm wearing I honestly feel happier and my day just goes a whole lot better. It boosts my self confidence entirely when I'm wearing a shirt I really like versus the shirt I woke up in and we all know, self confidence is actually one of the most attractive traits there is. And yes, there is in fact a difference between confidence and cockiness. Though the only people that usually see me during the day are the strangers at Target or the grocery store, my husband, my daughter, and occasionally the mail man... I still love to dress to impress because there may be an off chance that you run into an old friend. While you're not actually dressing to "impress" them, you should dress to feel comfortable talking to them. No more avoiding someone from church at Costco because you don't want them to see you in your PJ's out in public. Raise your hand if you hate being cooped up all day... I'm raising both hands. I go completely stir crazy and feel like I got absolutely nothing done if I don't get out of the house at least once a day. When I get dressed and do my hair and makeup I feel so much more inspired to get out of the house and make the day a good one. That in turn completely brightens my mood. There's this funny astigmatism that you're "trying too hard" if you look good. I disagree entirely. Dressing well and how you feel comfortable is a way to express yourself and your personality. When I'm at a baby shower and I'm wearing a dress, it isn't because I'm trying too hard... It's because I feel good in a pink maxi dress and when I feel good with what I'm wearing I'm more inclined to meet and talk to people I've never met before. I love being social and one way to make you feel more social is to dress your best. I'm going to be showing you all some of my favorite mom styles out there in hopes to help you feel inspired to get dressed every day! First, I'm going to start with this dress from WukoGals. I'm obsessed with this company! I love every single style of dress they offer and especially love how flattering they look on a woman's figure. 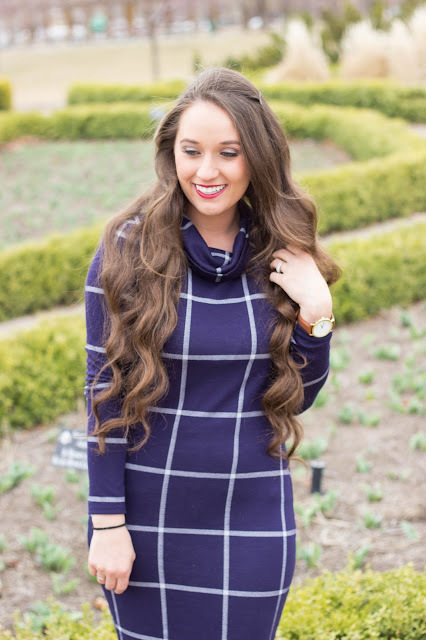 I chose this adorable sweater dress because it is perfectly modest and comfortable. I have already worn it to church and I cannot wait to wear it on a date night out. It has a little stretch mixed in with the perfect amount of tightness to hug your frame. Why did I choose a form fitting dress to feature first? Because I honestly believe that you need to love your postpartum figure no matter what it may look like! I still occasionally have a hard time with my own figure, but each time I get brave enough to wear something form fitting again, I feel a little more comfortable in my own skin. I would definitely start with this dress from WukoGals if you're wanting to try something form fitting! If you're not quite ready for that yet, check out the rest of their site and I'm sure you'll find something (but more likely several things!) that you will just love! I know that wearing dresses can be difficult for nursing mamas, but put one on for a date night out and you will feel great with how you look! Or just try something like this with buttons! Make sure to check out WukoGals line of dresses and because I know you will find something you absolutely love... use code: MOORESWEATER at checkout for $15 off your purchase!! 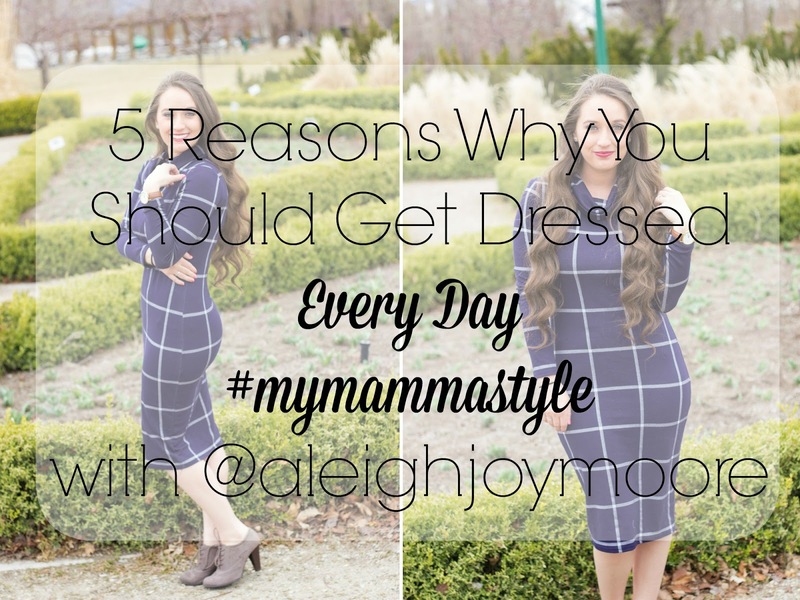 Make sure to tag your photos on instagram with #mymammastyle to be featured on my blog! I looked at the website but the code says that it doesn't work! Is it expired?